Looking downriver during the 1955 Flood. The section of water in the foreground is Route 44, beyond is the river. 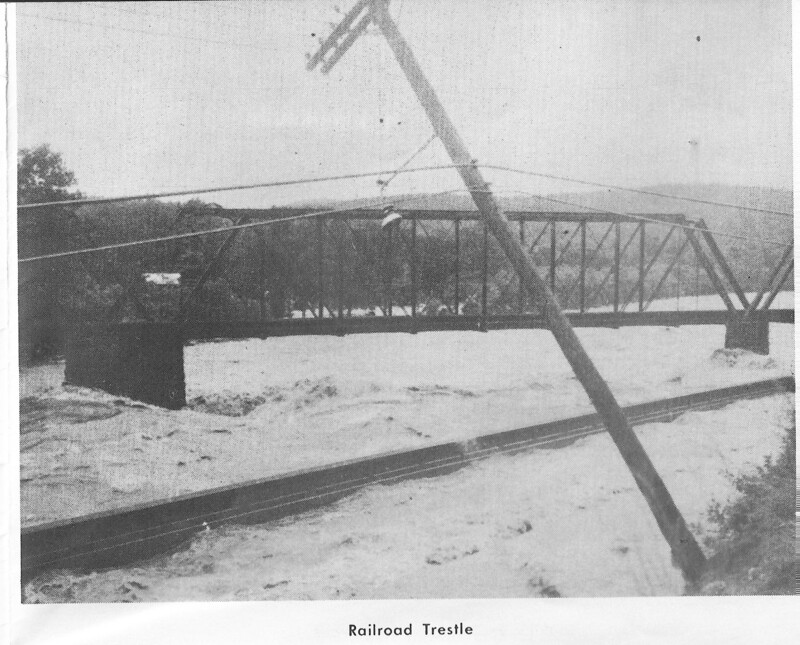 The railroad trestle stood through the 1955 flood and was used as a river crossing afterwards.